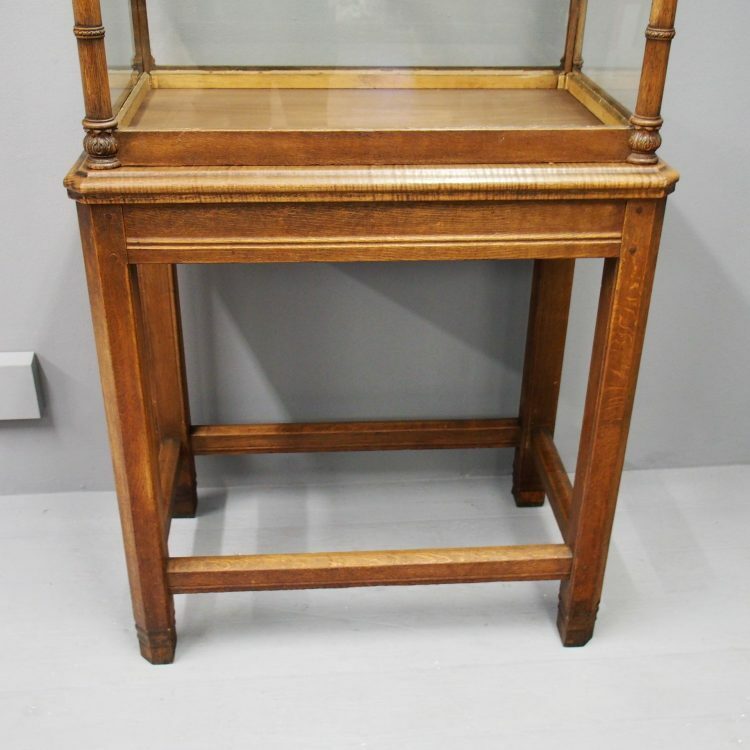 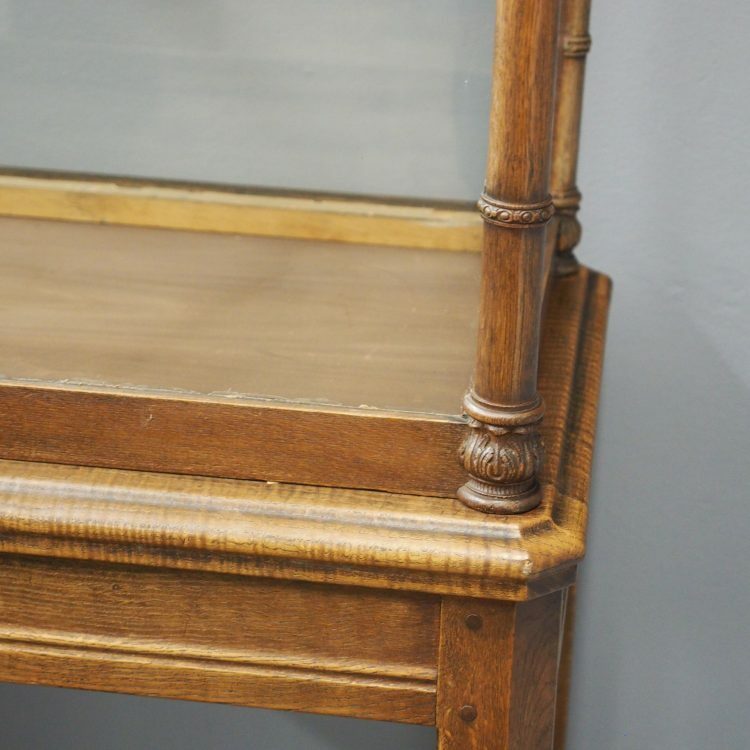 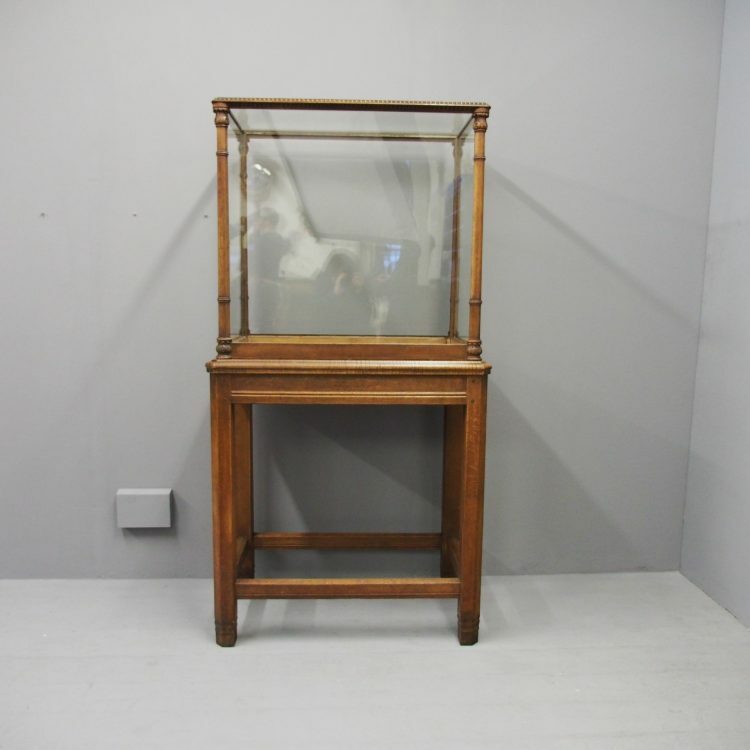 Circa 1860, Victorian oak display cabinet on stand (likely an ex-museum showcase). 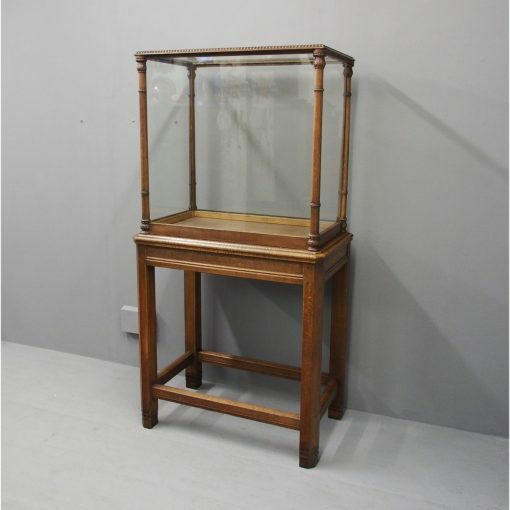 The rectangular lift-up display case has turned columns with carved, ring turned decorations and acanthus capitals supporting a beaded top-frame. 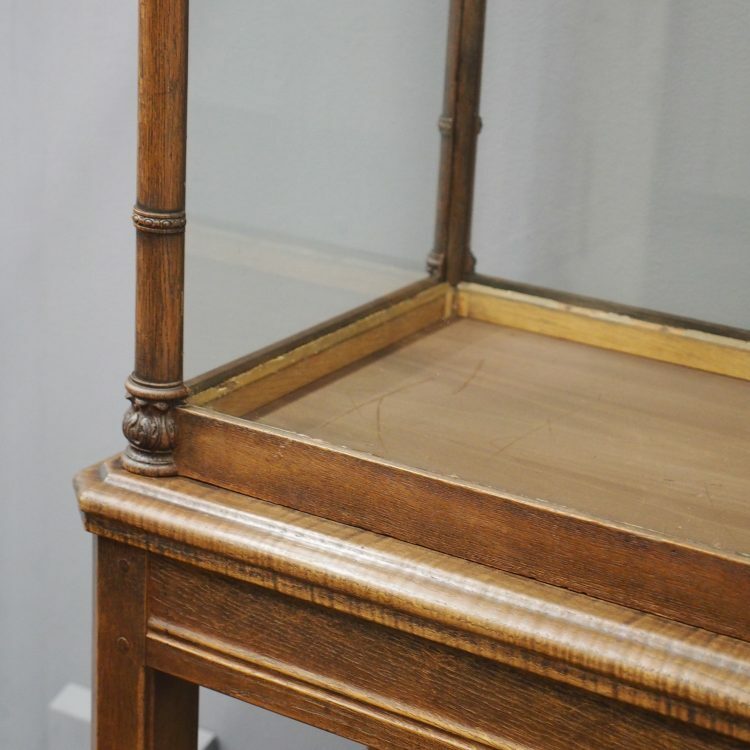 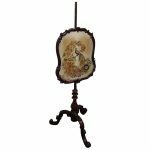 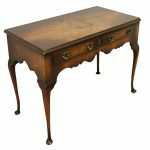 This case is supported on a substantial rectangular base with moulded frieze and doweled, chamfered legs and chamfered stretchers. 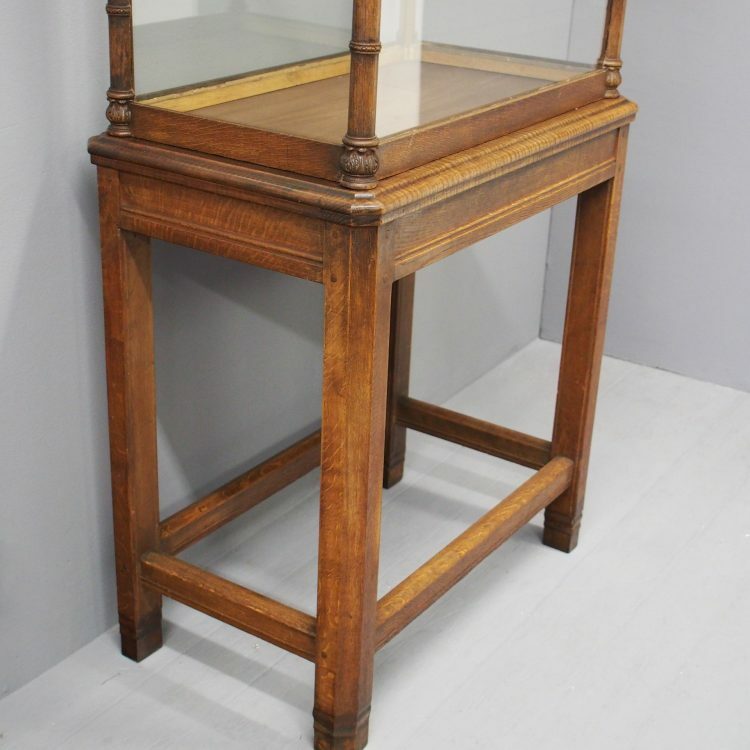 Size 169 cm high x 87 cm wide x 54 cm deep.